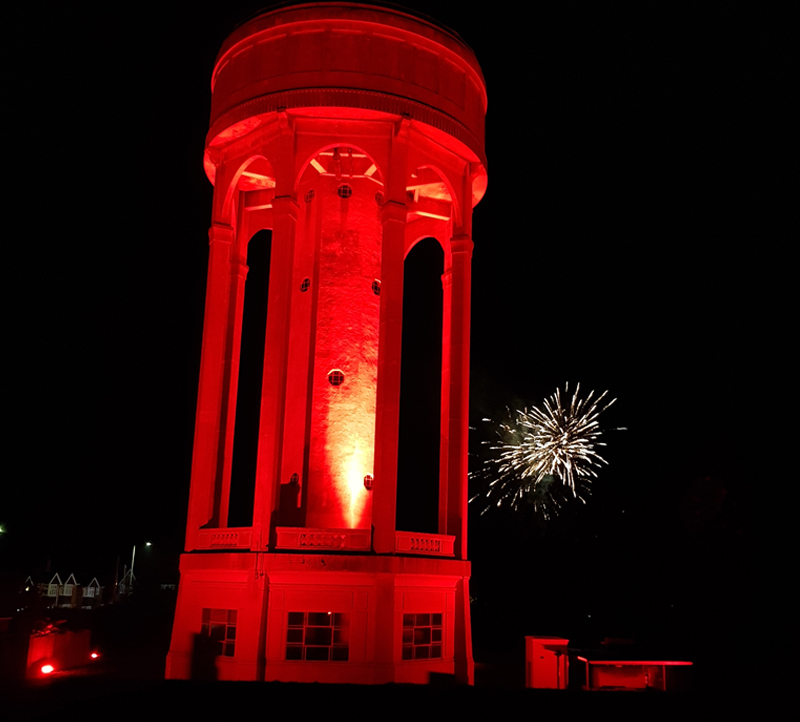 We were very pleased to be asked, by our friends, Thames Water and Stanley Electronics, to work with them to light up the Tilehurst water tower as part of the Turn Tilehurst Red event in commemoration of the centenary of Armistice Day. The end result drew huge crowds and was featured on BBC’s South Today as well as BBC Radio Berkshire, Heart FM and LBC Radio. We feel it is very important to remember those who made the ultimate sacrifice for us. 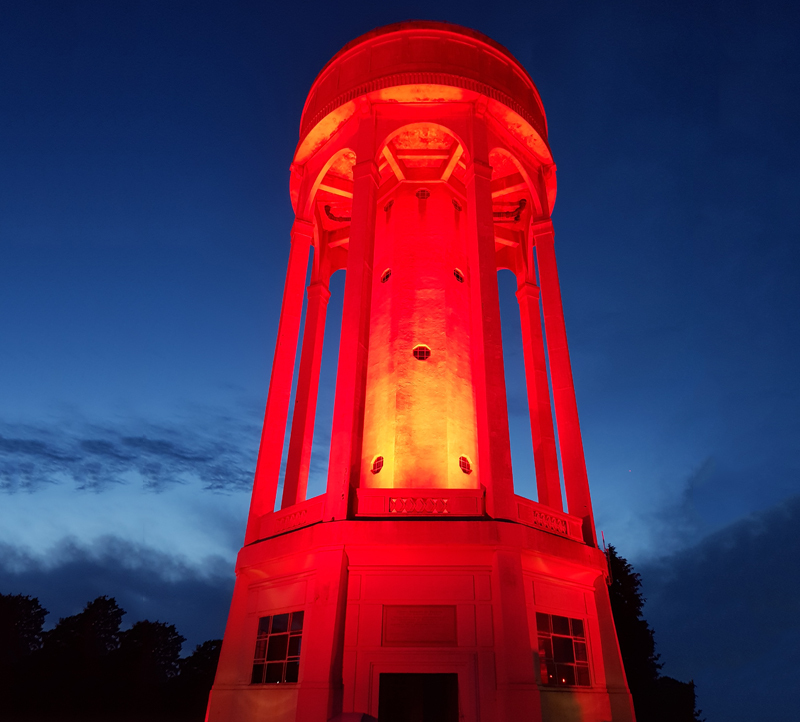 It is important to know that the Turn Tilehurst Red event was much more than just turning the Tower red. 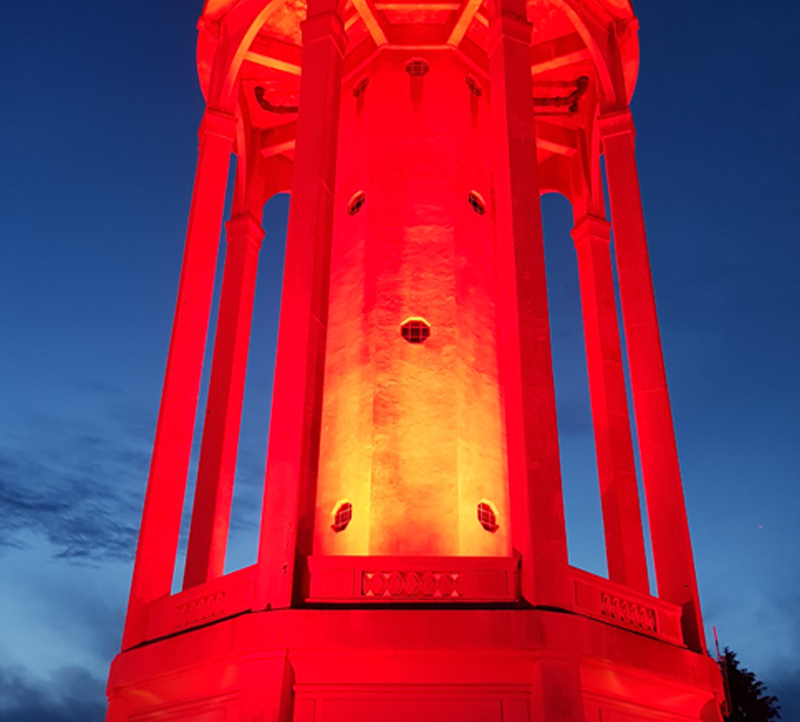 The Tilehurst community worked hard not only to sell poppies, but also to make ceramic and knitted poppies, hold a door-to-door collection, sell poppies painted on stones, hold a "Copper Poppy" event and secure corporate donations. They raised enough to send nearly £3,500 to the Tilehurst branch of the Royal British Legion and over £2,200 to provide two Poppy Memorial Benches. A fantastic community effort!